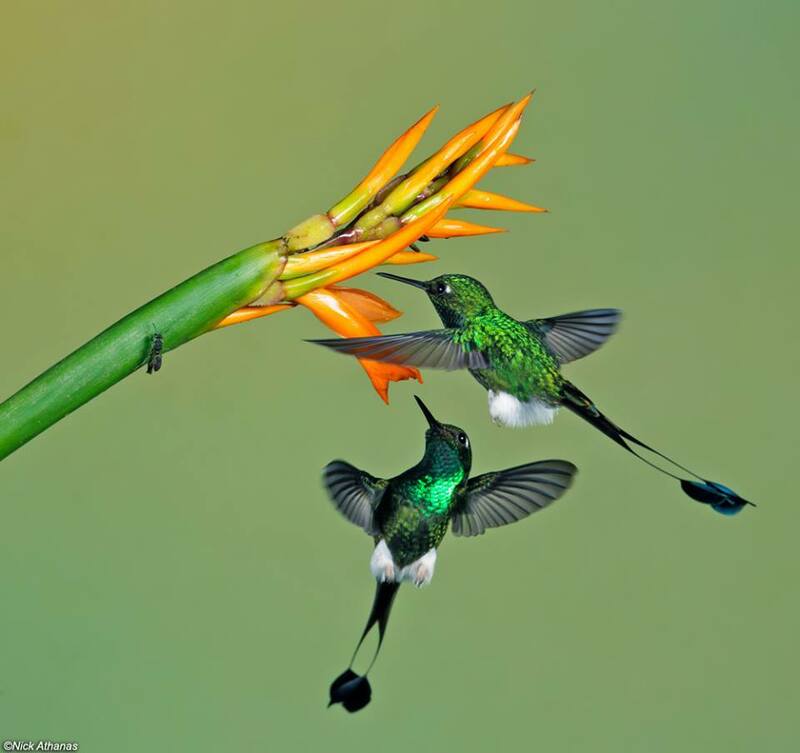 The Booted Racket-tail (Ocreatus underwoodii) is a species of hummingbird. It is found in the Andean cordillera of Bolivia, Colombia, Ecuador, Peru, and Venezuela. A population also occurs on the Venezuelan coast. This is the only species in the monotypic genus Ocreatus. The upperparts are a golden green colour and the rump has a white bar. The throat and breast are a brilliant emerald green. The legs are feathered down to the feet with horny white short feathers. The tail is brownish black and deeply forked. 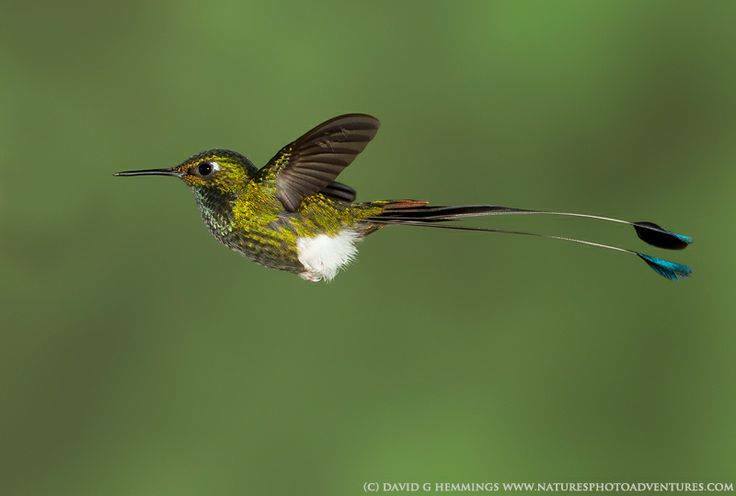 The tail feathers on either side increase in length from the centre and the outermost ones are exceptionally long and have bare shafts tipped by oval plumes, which gives the species its common name.